Home » How can I force users to access certain pages such as the shopping cart with HTTPS, while other parts remain in HTTP? There are several options to redirect users from HTTP to HTTPS and vice versa. 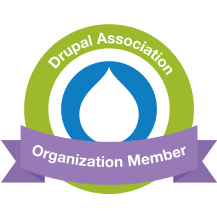 With Drupal the Secure Pages module is the easiest option. Note that you MUST check the X-Forwarded-Proto header. Checking if HTTPS enabled will not work as SSL is terminated before it gets to one of our Apache webservers. Use this as the basis for your own rule set. Every site will do things slightly differently.